Thus far in our survey of computer adventure software, we've examined the early days of completely text-oriented fantasy games, specifically centering on the original Adventure and Zork. This month, we'll give some attention to the other sort: the graphic adventure. In stark contrast to Zork and it's predecessor, both of which were written by "techies" who knew Fortran and other such programming languages inside and out, the initial game of this genre to use pictures was the result of the work of a woman who only knew enough about her Apple II to play that original adventure. Like Marc Blank and Dave Lebling of Zork fame, Roberta Williams grieved after completing the game, for she discovered that she had an insatiable appetite for these programs, but there were no more to be played. As with Blanc and Lebling, she also became determined to write her own. Doing so would: (a) rescue all the addicted adventurers across the country from seemingly interminable boredom; and (b) put some cash in her pocket. As has already been noted, Roberta was not a programmer. 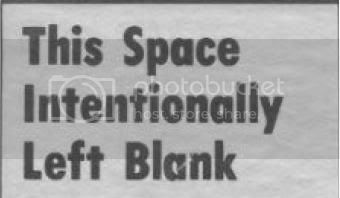 Generally, this would tend to end a person's dream of writing a computer game, a feat which requires a bit of technical knowledge. However, fortunately for her, and for all those folks who've fallen in love with her games, Roberta Williams was married to a programmer, one who knew his stuff. That is to say, he knew his assembly language. Had he really known his "stuff", he would have seen the potential in his wife's idea and would have immediately dropped his idea of writing an Apple version of Fortran in favor of implementing her game scenario. Instead, he brushed off her notions and concentrated on his task at hand, which he would ultimately renounce, declaring it futile. After many hours of persuasion, Ken Williams finally conceded to code his wife's scenario. Whilst discussing what would be the program's major selling point, the twosome hit upon an idea that would bring massive changes to the world of computer adventuring: the use of high resolution graphics. In that original Agatha Christie-inspired murder mystery, the pictures were simply black-and-white stick figures, crudely sketched with the aid of a Koala pad. 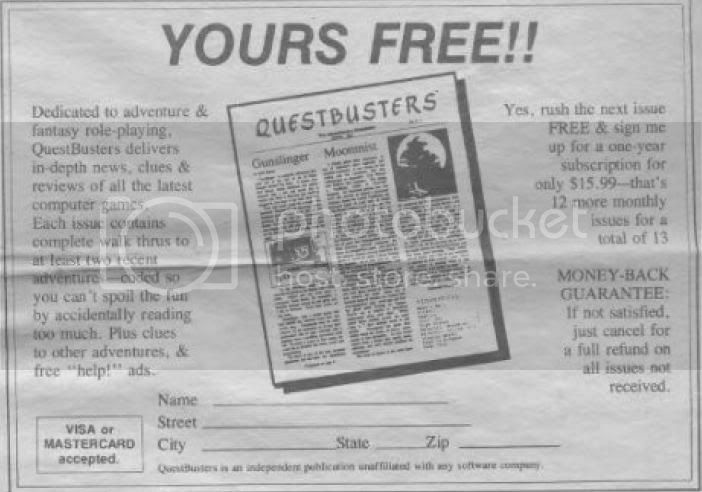 Still, it was a fresh, innovative idea, and Hi-Res Adventure #1: Mystery House took the market by storm under the label of On-Line Systems, Ken and Roberta's two-person company. Much better graphics and incredible financial success were to follow in their subsequent releases: The Wizard and the Princess and Cranston Manor, just to name two. The company expanded, changed it's name to Sierra On-Line, hired more programmers, and produced a great deal of software pieces, both arcade games and graphic adventures. Still, there has been an ongoing debate over which sort of adventure game is to be preferred: text or graphics. Graphic gamers contend that the pictures look flashier, enhance one's enjoyment of the game, and test one's attention to detail, for many subtle clues are often contained within the pictures. However, the text aficionados maintain, unless one has a color monitor, and even if one does, it is oft times nearly impossible to decide what a certain blob on the screen actually is. Since graphics take up a sizable chunk of memory, there is less room for a sophisticated parser, so telling the game what one desires to do with an object that has actually been identified frequently becomes a tiresome session of trying to guess what few words are contained in the program's pitifully tiny vocabulary. In addition to taking up loads of space in the machine's memory, graphics require much more space on disk than does text. Thus, either the scope of the game is limited, or the user must constantly be swapping four or so floppies in and out of the drive (Sierra On-Line's Time Zone carries this to the extreme, being composed of 12 (that's a full dozen!) disk sides). Of course, often taking the time to load each picture from the drive, there's the delay while the program draws it on the screen, a process which can be painfully slow, depending upon the algorithm employed by the programmer. Graphics fans, however, point to King's Quest I and II, as well as The Black Cauldron (all by Sierra On-Line) as primary examples of how fabulous an adventure game can be. In each of these, the player controls the man on the screen with the arrow keys and moves him around. The man strolls to and fro, and to the user's delight, appears to walk behind objects in the foreground, emerging on the other side. He can walk around in front of the objects as well, thus creating a marvelous three-dimensional effect which is joyous to behold. Still, this wondrous feature means there is less memory space for a decent parser, and double hi-res pictures obviously require double the storage space on disk! The staunch supporters of all-prose adventures seem to have a valid claim: no matter what the resolution on the computer screen, the images painted on the limitless canvas of the imagination will always be powerful enough to make anything on a monitor look like crude graffiti by comparison. However, whether a visual representation of the scene draws one into the story, or if intricately detailed prose and realistic interaction with the program create the feeling of "being there," the choice remains each individual's to make. Decide which is more rewarding for you, and grab your brass lantern - it's time to go adventuring! Written by Tel McManus, a high school senior from Buldwinsville, New York. Reprinted with permission of The Apple Tree, published by the Syracuse Apple User's Group.